So far, we have seen how that the history of what happened in Genesis 6 seemed to dog society for several centuries later. We’ve also seen that while nephilim existed after the flood, they were somehow weakened (though not weak) and more susceptible to being targeted and killed. The attempt Satan had at creating something immortal that would be in his own image proved to be quite mortal – to the point that the very name Rephaim becomes synonymous with death. What happened here? Taking a cue from the book of Enoch and then cross checking it with Scripture to see if the story is plausible, we see where the punishment that God meted out to the angels who fell was twofold. 1) They would be confined in chains of darkness until they were ultimately judged. 2) They would have to sit and watch as their progeny killed themselves off (prior to the flood). The nephilim, or progeny of the angels who fell – who were half spirit/angel have human also had a punishment. For them, there would not be rest. Instead, they would wander the earth as evil spirits – always hungry but never being able to be satiated. 8 And now, the giants, who are produced from the spirits and flesh, shall be called evil spirits upon 9 the earth, and on the earth shall be their dwelling. Evil spirits have proceeded from their bodies; because they are born from men and from the holy Watchers is their beginning and primal origin;10 they shall be evil spirits on earth, and evil spirits shall they be called. [As for the spirits of heaven, in heaven shall be their dwelling, but as for the spirits of the earth which were born upon the earth, on the earth shall be their dwelling.] And the spirits of the giants afflict, oppress, destroy, attack, do battle, and work destruction on the earth, and cause trouble: they take no food, but nevertheless 12 hunger and thirst, and cause offences. And these spirits shall rise up against the children of men and against the women, because they have proceeded from them. Does Scripture support this story? I believe it does. The earth also was corrupt before God, and the earth was filled with violence. And God looked upon the earth, and, behold, it was corrupt; for all flesh had corrupted his way upon the earth.And God said unto Noah, The end of all flesh is come before me; for the earth is filled with violence through them; and, behold, I will destroy them with the earth. We saw earlier how part of that corruption involved actually corrupting the human genome by intermixing with Angelic beings. This corruption begat violence and if the book of Enoch is to be believed the violence devolved so badly that they were actually cannibalizing one another. Deuteronomy 2: 11, 20 – Which also were accounted giants, as the Anakims; but the Moabites call them Emims. Deuteronomy 3:11- For only Og king of Bashan remained of the remnant of giants; behold his bedstead was a bedstead of iron; is it not in Rabbath of the children of Ammon? nine cubits was the length thereof, and four cubits the breadth of it, after the cubit of a man. 2 Samuel 21:20 – And there was yet a battle in Gath, where was a man of great stature, that had on every hand six fingers, and on every foot six toes, four and twenty in number; and he also was born to the giant. In each case here where you see giant, the underlying Hebrew word is rapha or Rephaim. Isaiah 14:9 – Hell from beneath is moved for thee to meet thee at thy coming: it stirreth up the dead for thee, even all the chief ones of the earth; it hath raised up from their thrones all the kings of the nations. Isaiah 26:13-14 O Lord our God, other lords beside thee have had dominion over us: but by thee only will we make mention of thy name. Psalm 88:10 -Wilt thou shew wonders to the dead? shall the dead H7496 arise and praise thee? Selah. Same vowel points. Same word. To be sure, the context determines the translation. But isn’t it interesting that we see the evil half-breed Rephaim called out early in Scripture and after a time, as they die out, the word begins to be translated dead and the meaning of ghosts, shades, and spirits takes over? The book of Jude speaks of them as the wandering stars. Just as the book of Enoch depicts, they are now seen as disembodied evil spirits, ghosts, shades. Certainly, the word Rapha when used in the context of death could have a meaning applicable to someone who is not a half-breed giant. Not trying to argue that it doesn’t. Still, in some cases it seems to refer to the half-breeds. So, now we come to the question of who are the spirits of the dead that the Bible talks about? It is quite popular today to try to conjure up ghosts of the dead and talk to them. Paranormal shows such as Ghost Hunters and Ghost Adventures have been so popular that the whole genre has just taken off. Are people playing with fire? There shall not be found among you any one that maketh his son or his daughter to pass through the fire, or that useth divination, or an observer of times, or an enchanter, or a witch, Or a charmer, or a consulter with familiar spirits, or a wizard, or a necromancer. The word daemon or demon comes from the Greek and means an inferior god or goddess. Considering the connection we have seen between the Nephilim of old and the ancient gods, it takes only a small leap to see that when one engages in necromancy, they are literally exposing themselves to possession by these evil spirits condemned to wander the earth and the “dead” that they speak to are familiar to them because they are of the same stock! 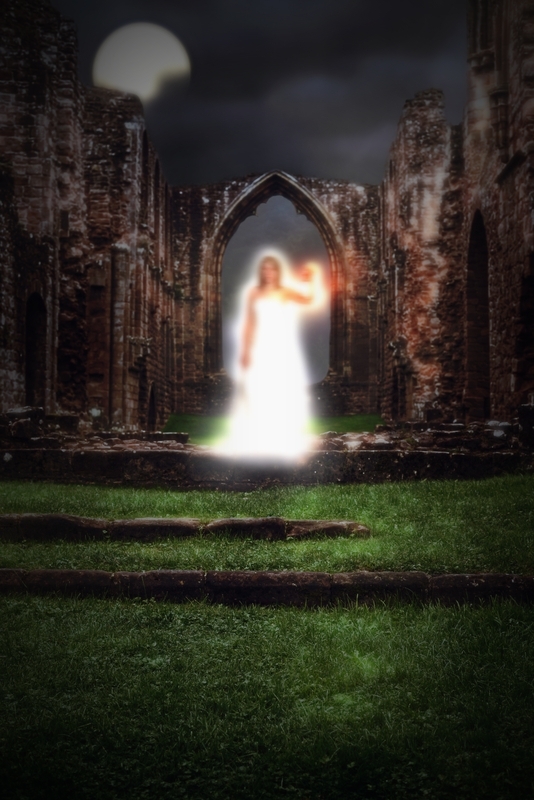 In case that wasn’t clear enough, the ghosts that are sought out so frequently today are nothing but malevolent spirits under the condemnation of God whose goal it is to plague and deceive human kind. Are there any appearances of ghosts that weren’t of this type? Biblically, I know of two. Samuel and Moses. Saul had that consulter of familiar spirits, the witch at Endor, call up the ghost of Samuel and God allowed him to come. Why? To pronounce judgment upon Saul. Likewise, Moses appeared after his death on the mount of transfiguration for a very specific purpose put forward by God. So, biblically speaking, it isn’t a 100% certaintly that the dead can not have appearances after they have died and not all appearances are imposters. However, they only reappear on this earth when God has a special purpose for it – not because we were doing something that He in His word has forbidden. So, next time you turn on your ghost shows and see folks like Zak Bagans of Ghost Hunters asking entities to possess him (yes, he literally does this), ask yourself who is he likely contacting? I’d say the overwhelming proof is that he is contacting those who are closest to him and can hear what he is saying. The descendants of the fallen angels, the Rephaim, are malevolent wandering spirits on the earth. Those who are in Christ are in heaven (to be absent from the body is to be present with the Lord – 2Co 5:8). Who is most likely to answer the call of one ignoring God’s admonitions? Do not be deceived. Don’t be tricked by Satan’s tempting treats. They are full of poison.